I shared a 4 bed room with 2 individuals the first night and 3 individuals the second night. I wasn't worried about security at all! The train station is super close but that does mean the trains start at 6am. The three hosts here were outstanding and recommended exactly the right things. I had checked some options online but wasn't too sure what I wanted to do. I ended up taking their suggestions and really enjoyed my time here though it was pretty short. Locals know best! Sumica was a great host. Very helpful and good to chat to. We had great conversation about Cairns and the legendary Johnos Blues Bar. Sumico also drove me to a spot where i could walk back from. Full of local knowledge. Thanks for a lovely stay. 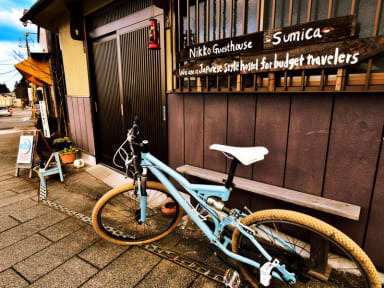 The guest house is very close to both stations, a natural spring Onsen and close to Family Mart, Supermarket and good ramen and other eateries. Close to bus stops to get around Nikko. Comfortable bed, toilet near upstairs dorm. Quiet and good value. Enjoyed our stay here. It is a simple guesthouse that has all the basic facilities, small rooms (or perhaps our luggage was too big - we left our luggage downstairs and brought our toiletries and clothes up to the room) but it has the BEST mattresses ever!!! So soft and comfy. 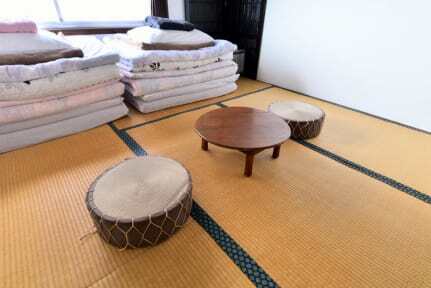 The guesthouse is conveniently located near the train station and a short walk to the bus stop. Mr Yudai Sato and his wife were wonderful hosts. Super friendly. Would definitely come back! A lovely place to stay! The owners are really friendly and the place is cozy. It's right next to the train station and is easy to find. It does get a little cold at night though, as the gas heaters in the room don't run overnight; the electric blankets on the beds keep you toasty, but the air in the room gets pretty chilly. Thanks for being lovely hosts! Very nice & helpful staff. Warm environment. Staff of guesthouse have play the card game with guests. So happy. Bed is big enough but space is so tight. Only 1 toilet and 1 shower room around 15 people may be very busy. Location is very very close to train station.